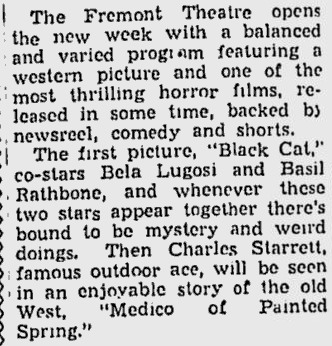 The Rialto is following tradition this week in celebrating a quarter of a century of purveying movies to the public with a new screen-and-squeal item. 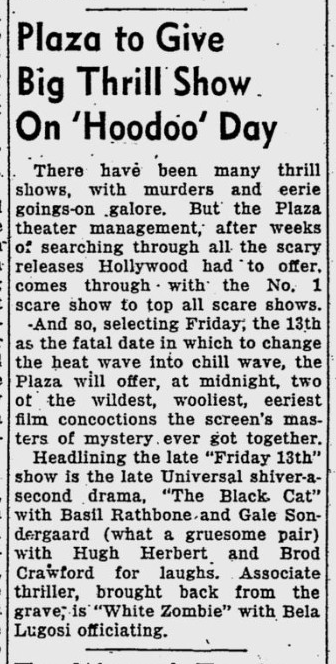 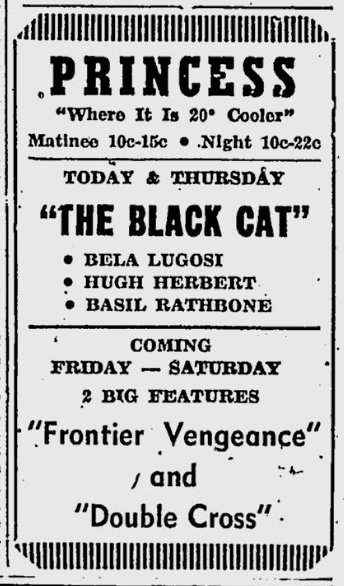 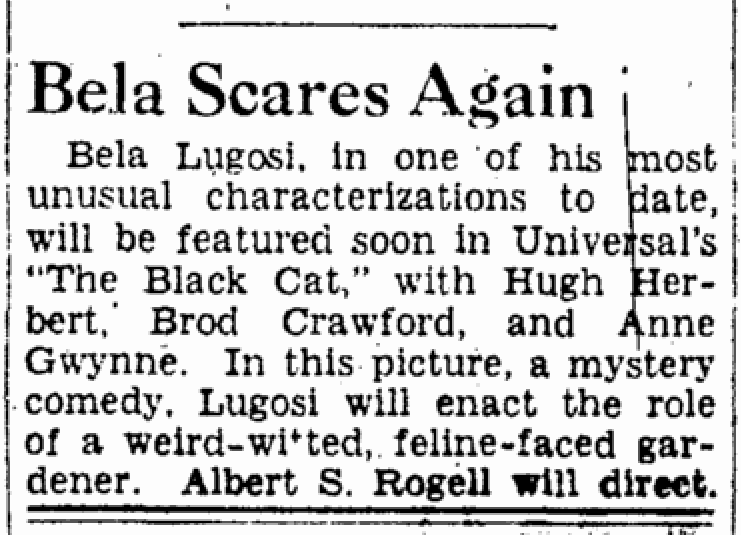 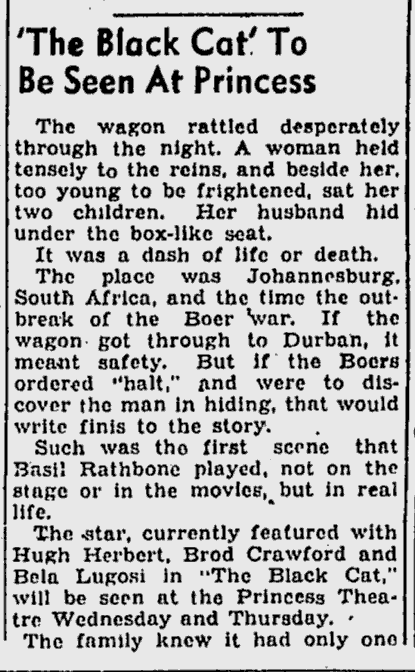 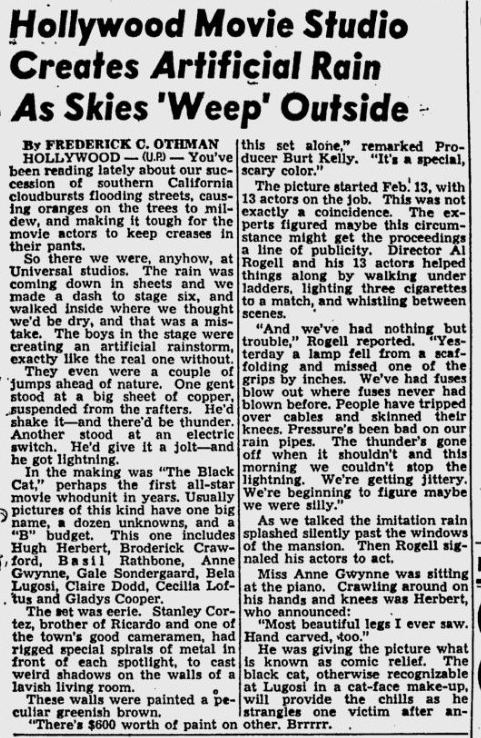 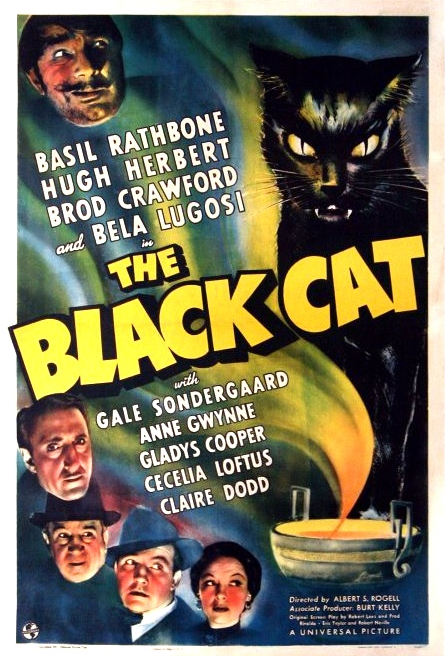 “The Black Cat,” a comedy thriller suggested by a Poe-short story. 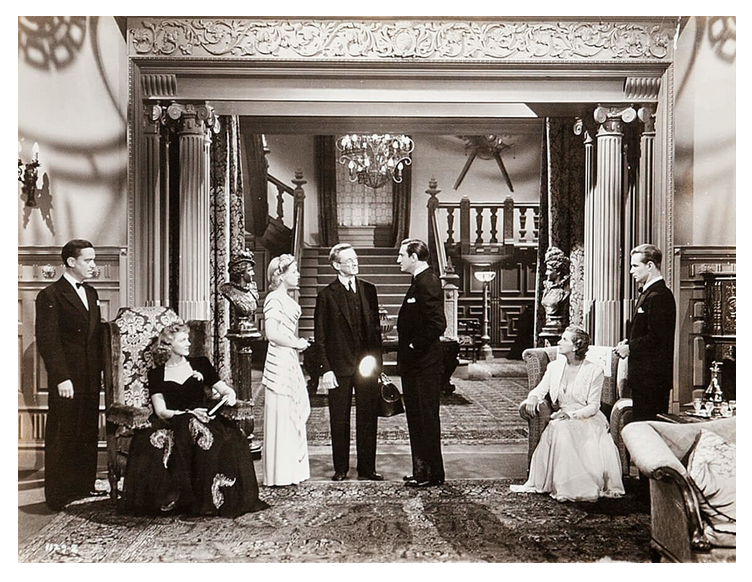 “The relationship between the two is microscopic. 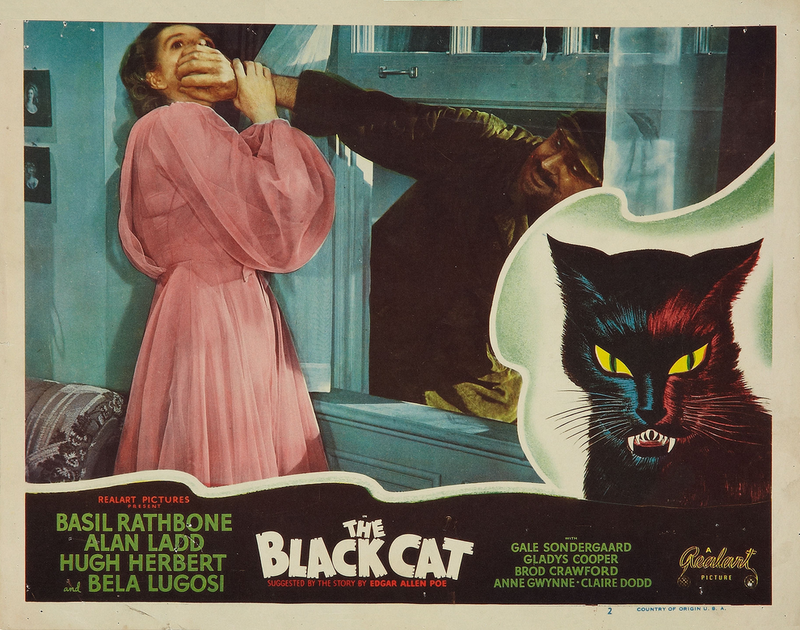 A tale more slow than sinister, it has all the ingredients of conventional horror melodrama. 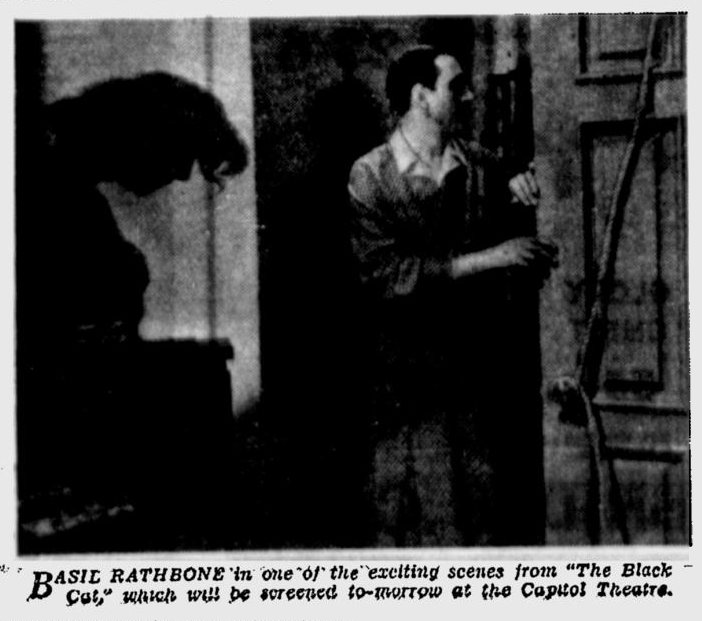 What with four murders, a score of sliding panels and all the other necessary macaber settings, the horror generally fails to chill. 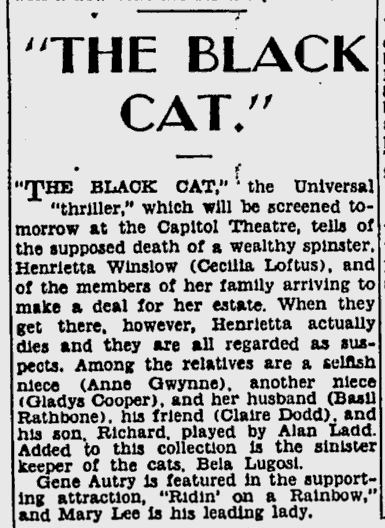 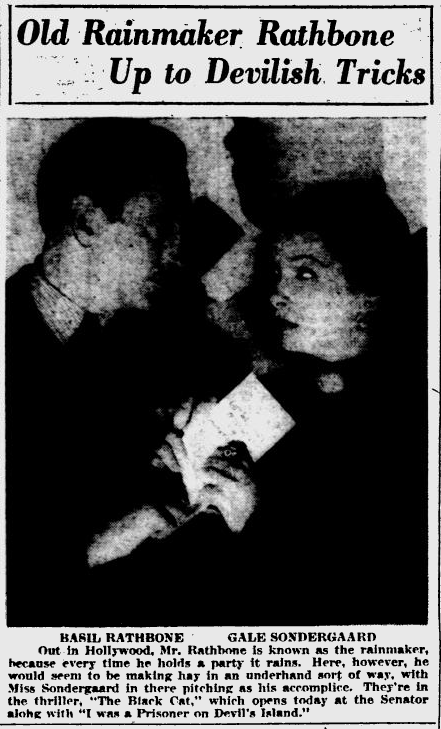 Blame it on the stock plot, which is concerned with the machinations of many relatives and retainers to gain control of the estate of an aged ailurophile, who is murdered early in the picture. 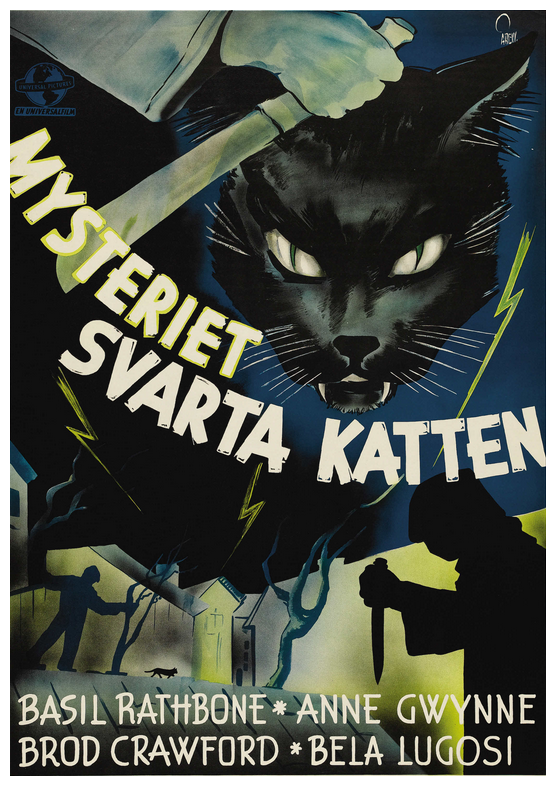 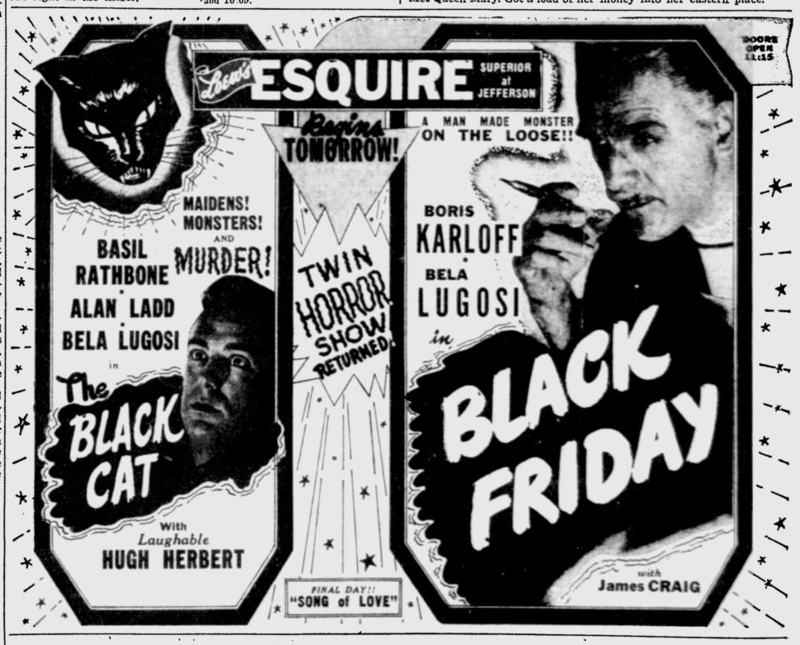 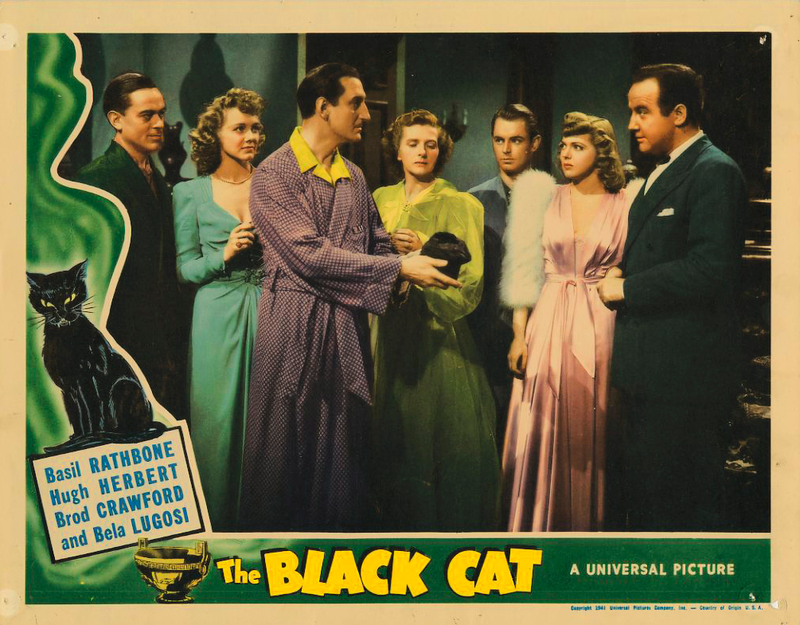 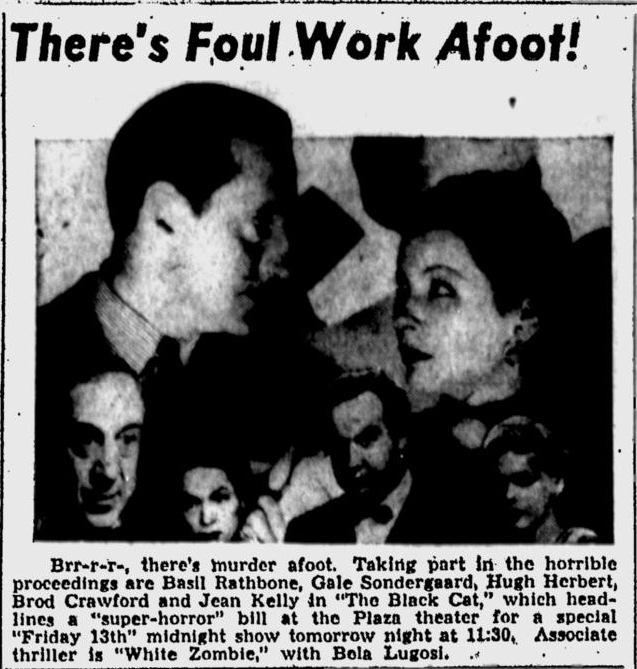 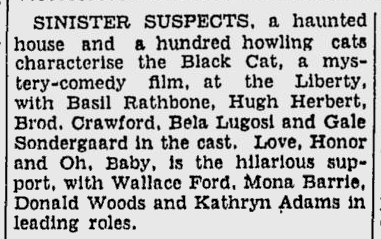 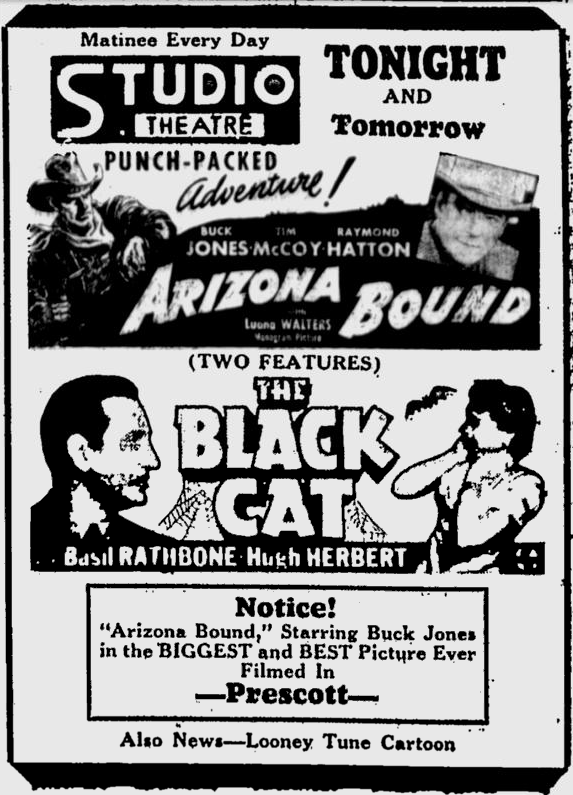 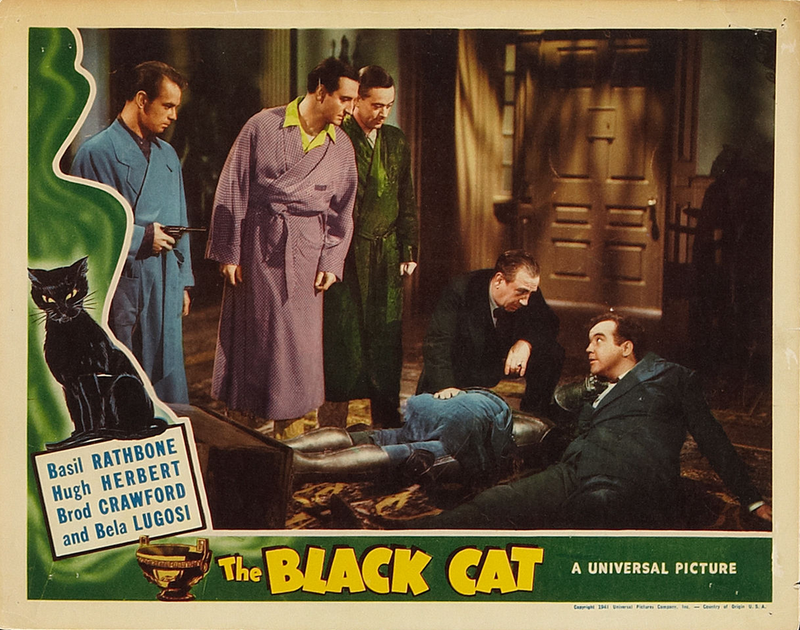 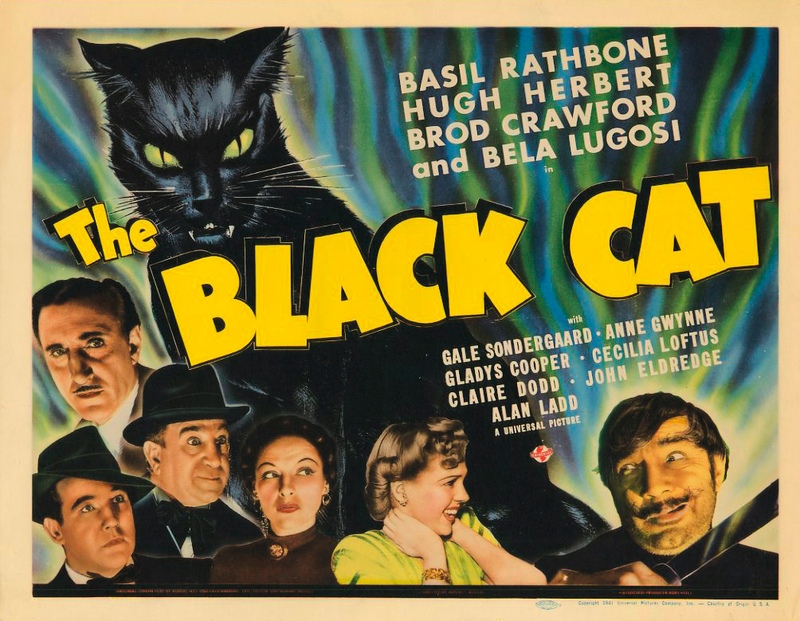 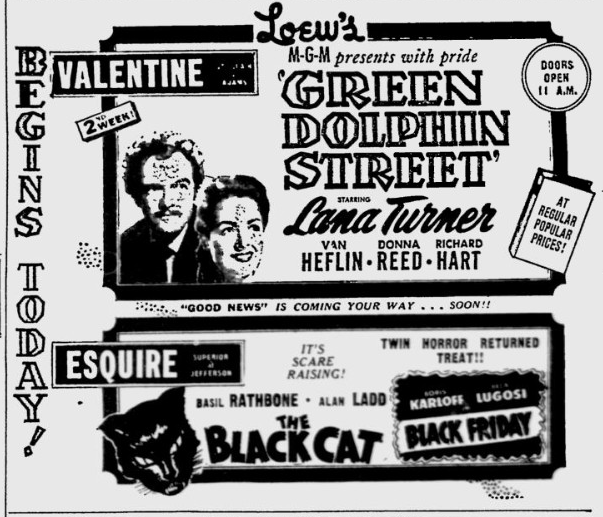 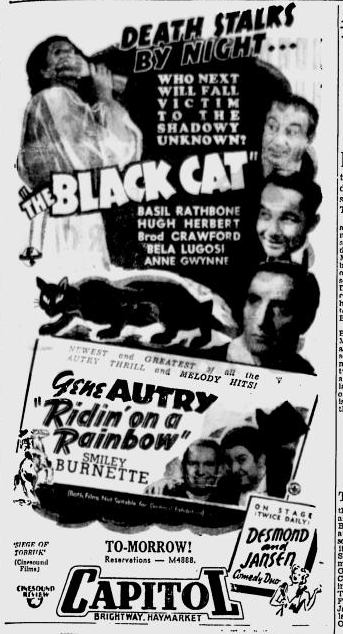 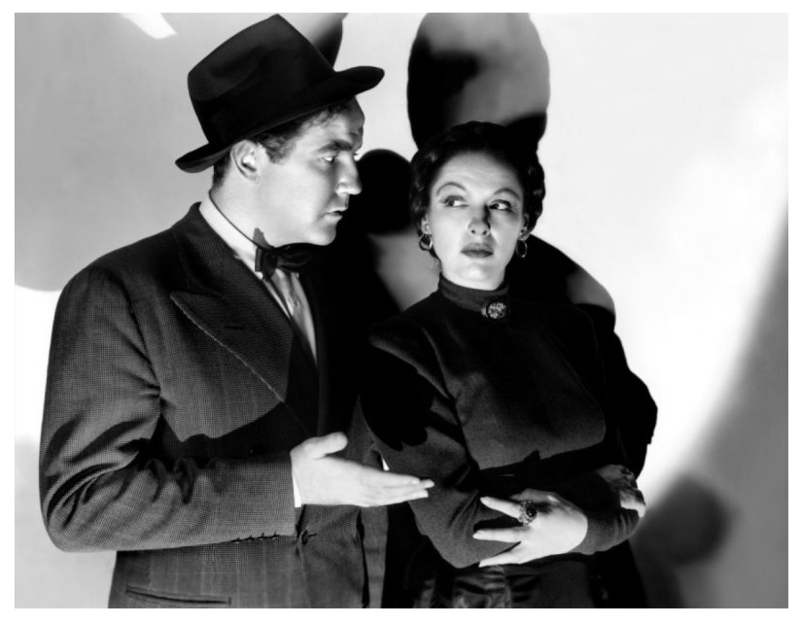 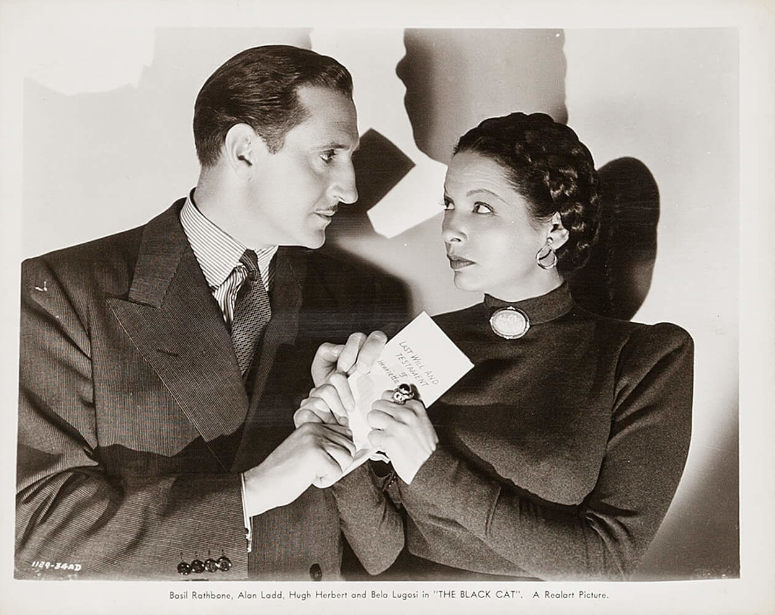 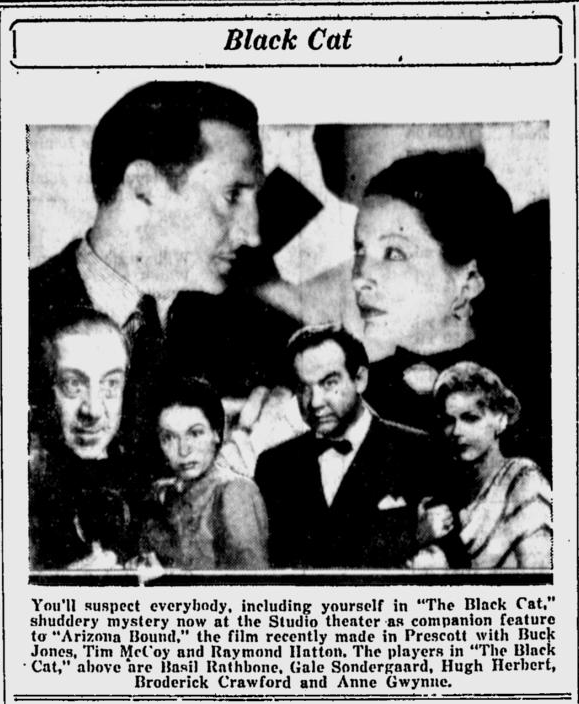 Broderick Crawford and Hugh Herbert, as a friend of the family and a dealer in antiques, respectively, deliver the sparse comedy lines, while Cecilia Loftus (as the cat loving cause of it all), Basil Rathbone, Gale Sondergaard and Bela Lugosi are properly menacing. 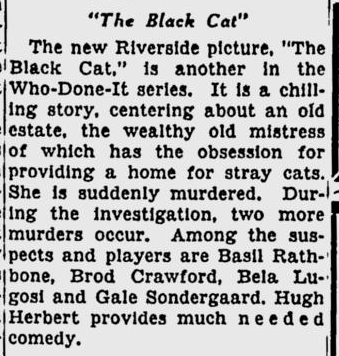 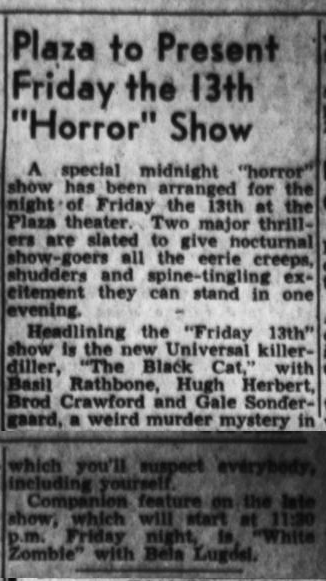 And, of course, there is a black cat—in fact, there are droves of cats, vari-colored and yowling fit to raise the dead. 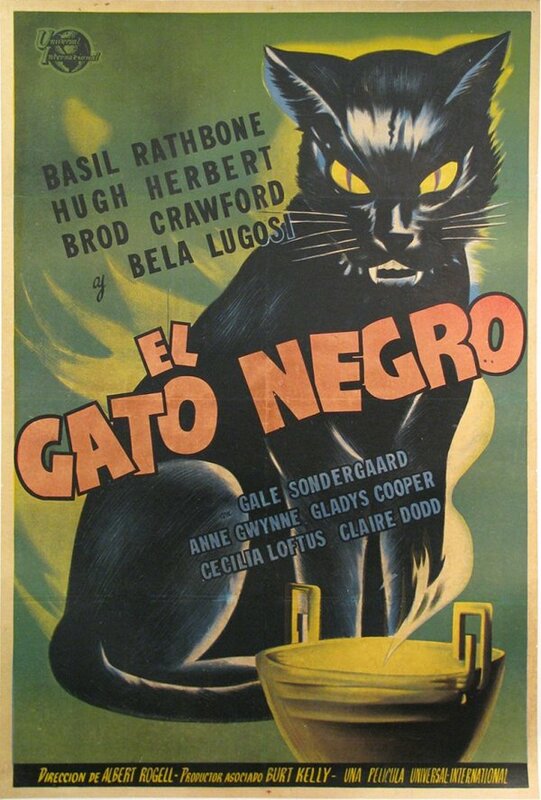 But they never do. 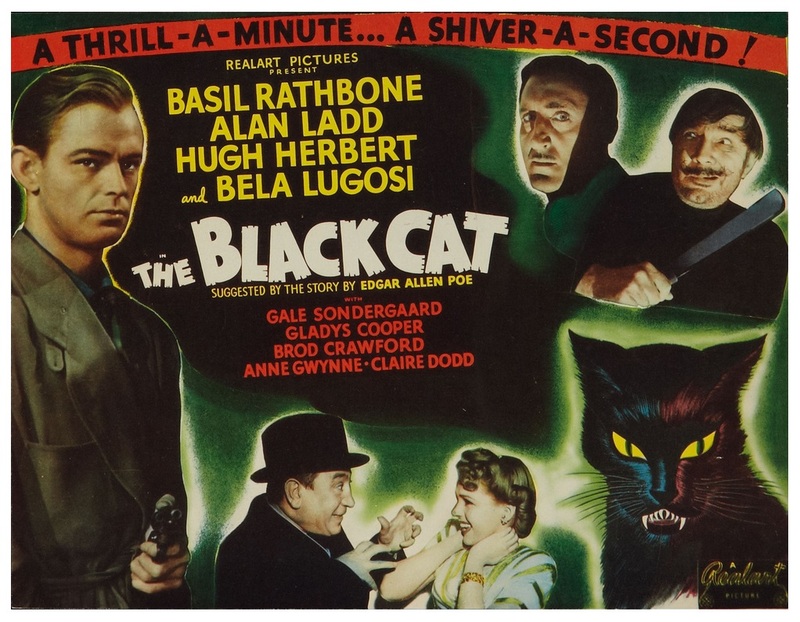 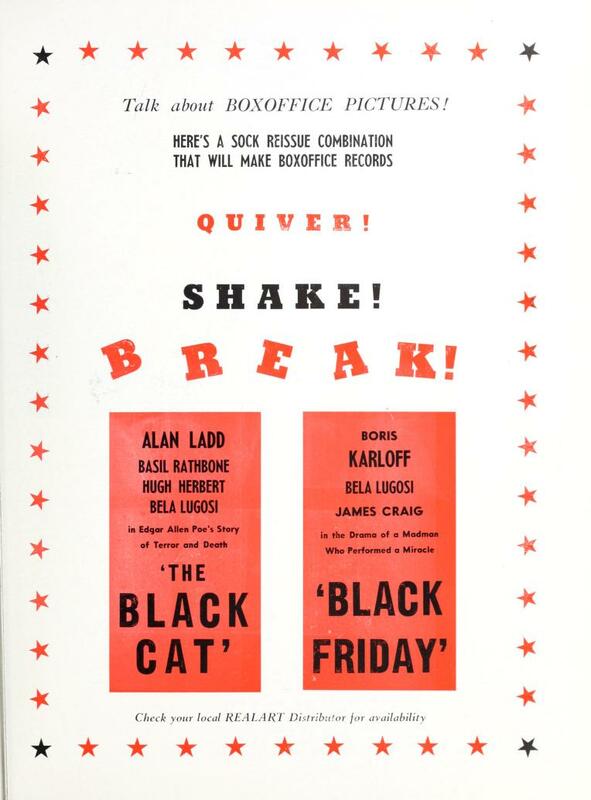 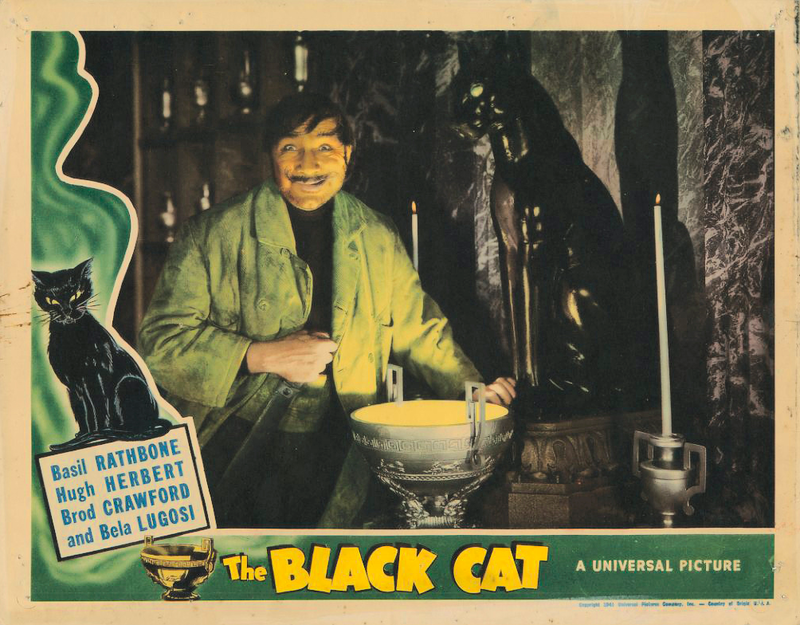 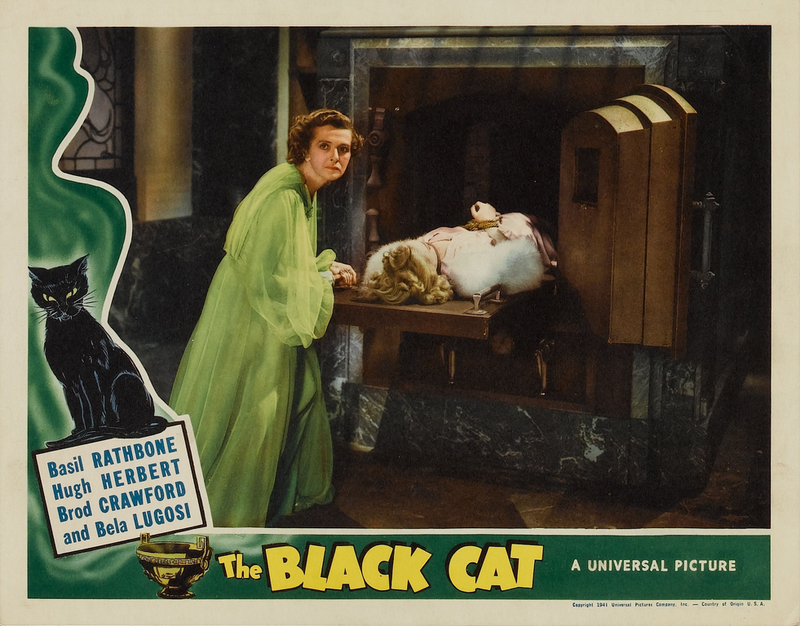 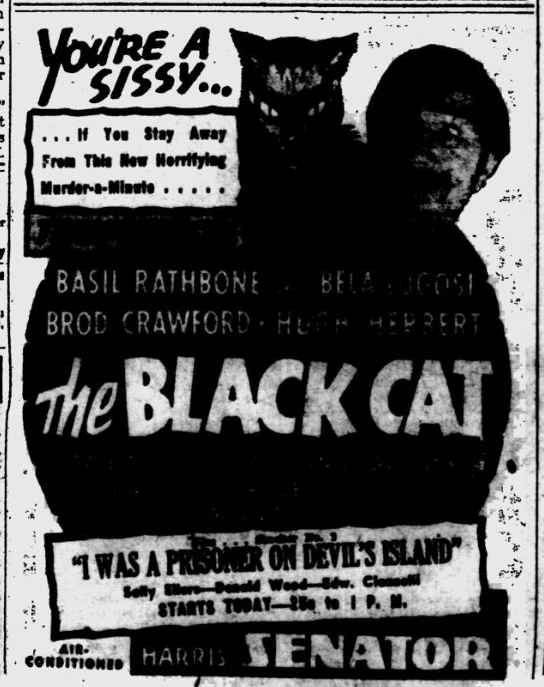 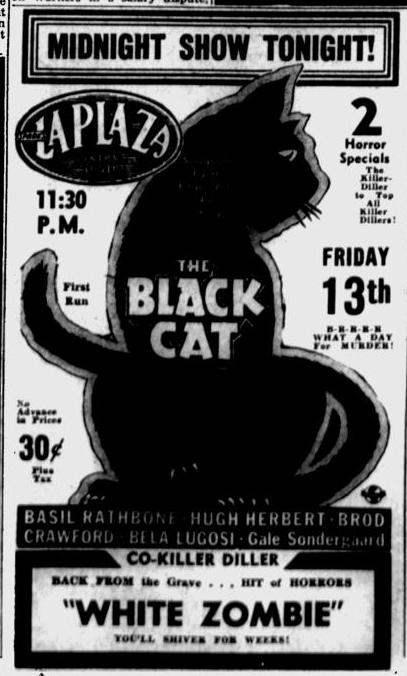 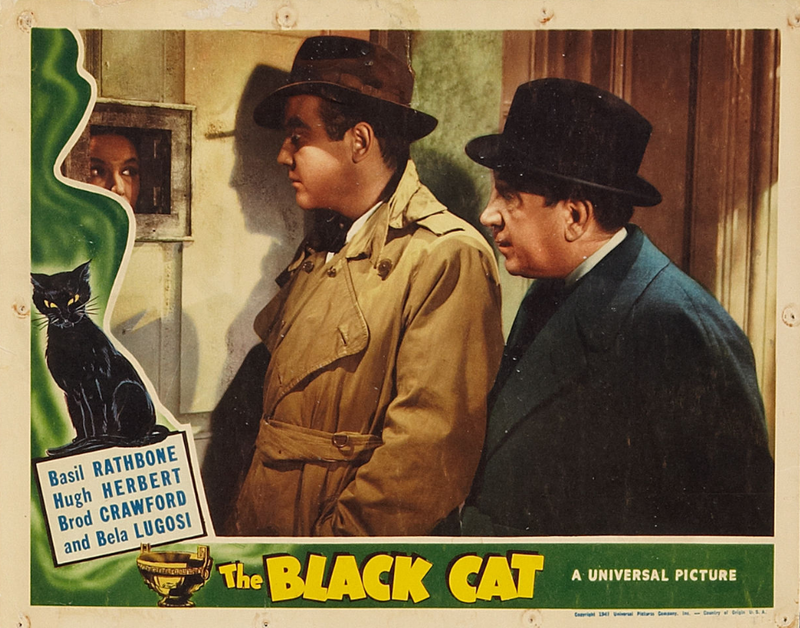 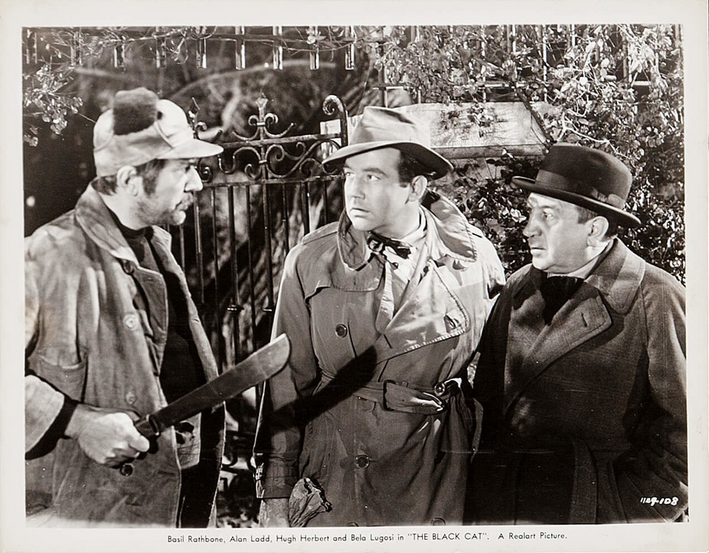 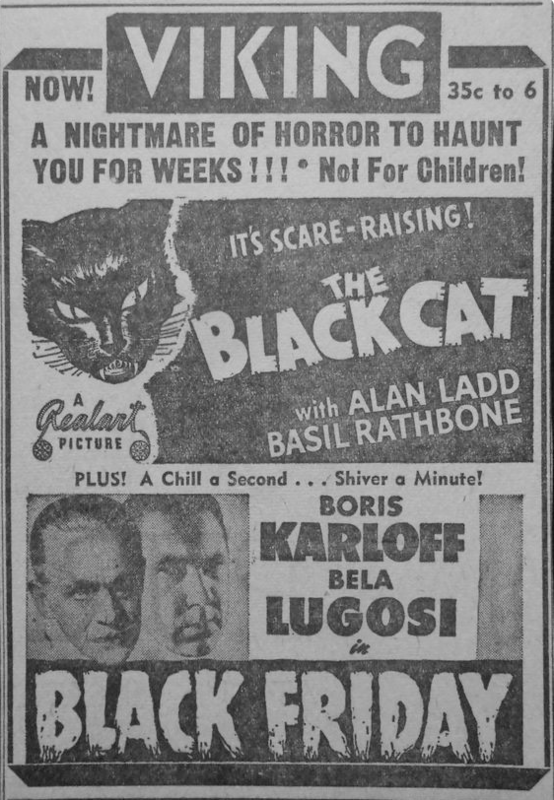 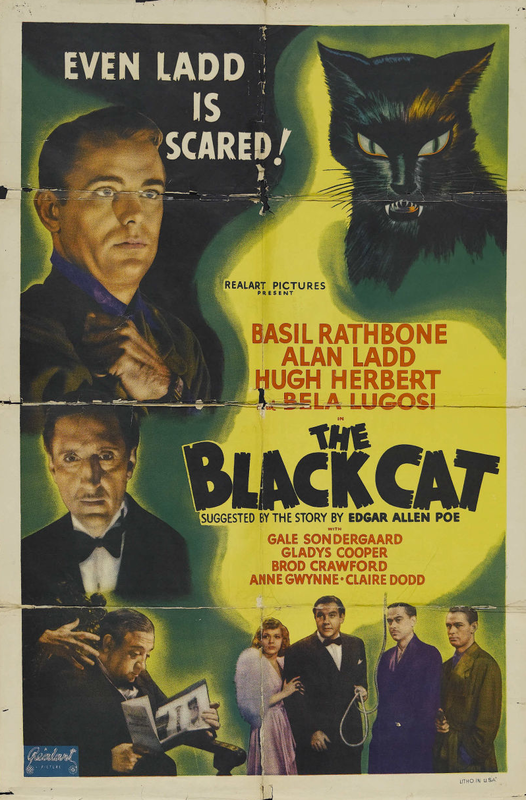 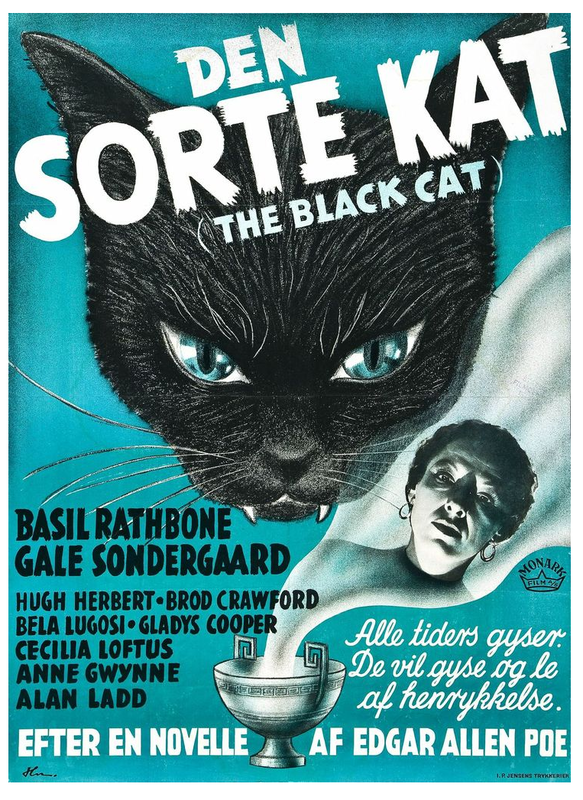 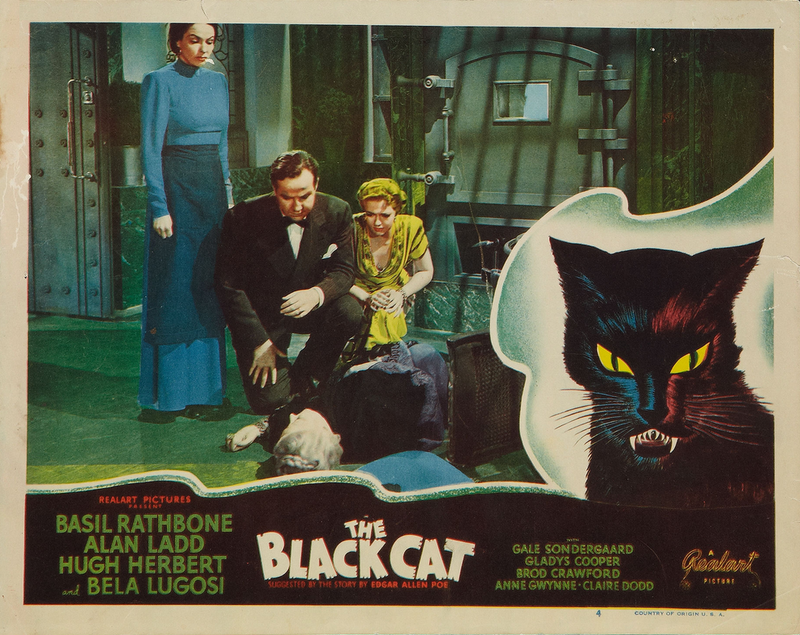 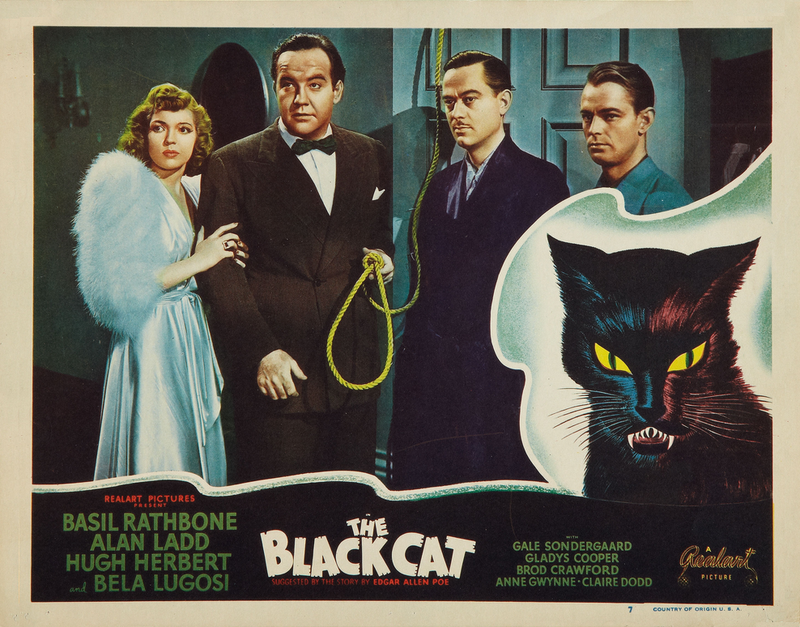 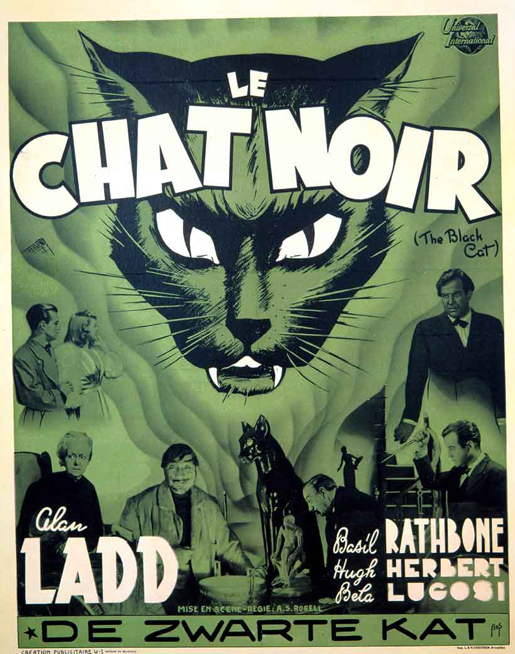 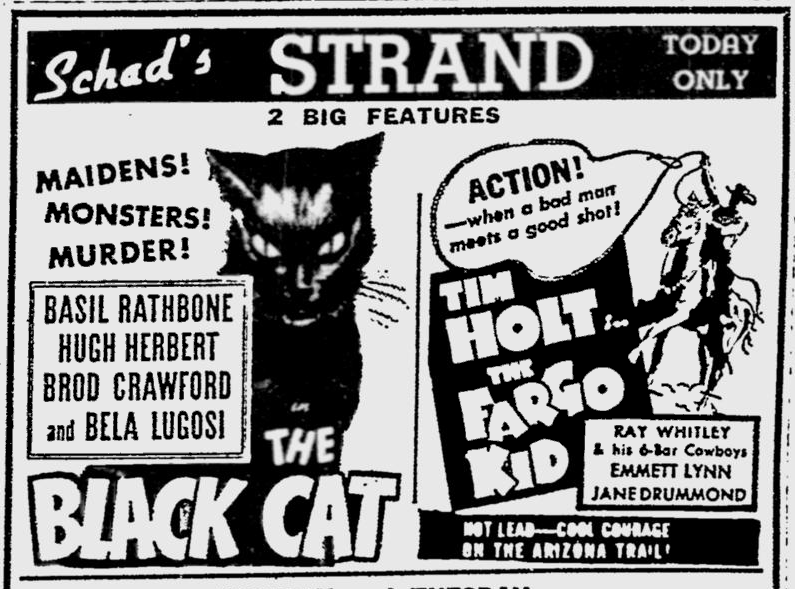 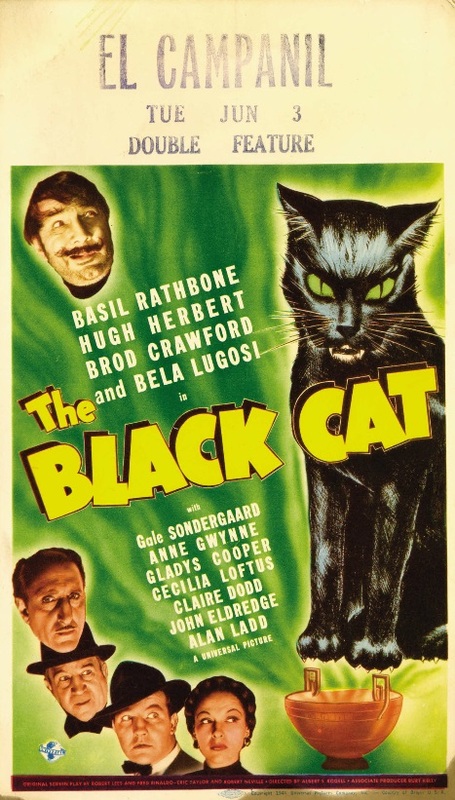 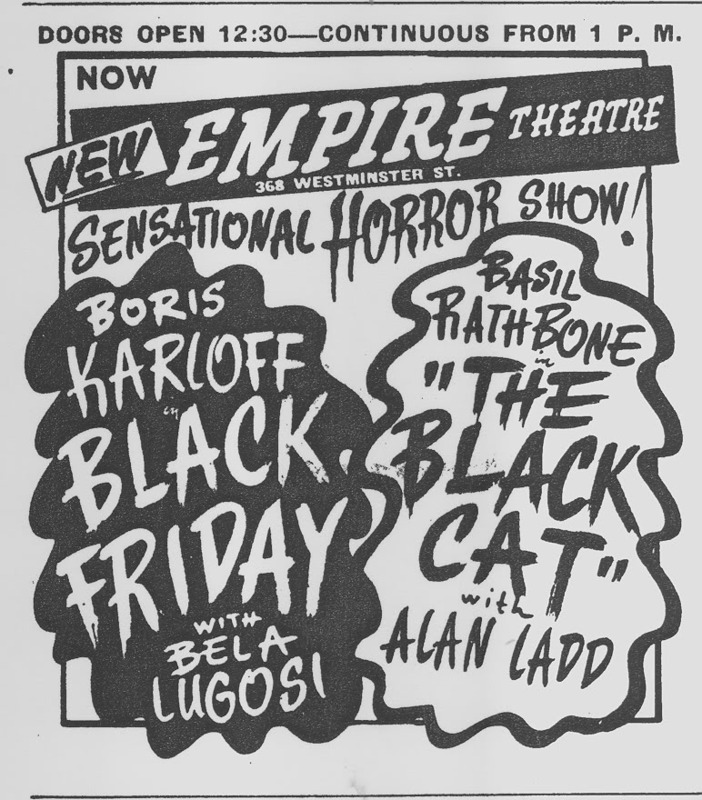 THE BLACK CAT: original screen play by Robert Lees, Fred Rinaldo, Eric Taylor and Robert Neville; suggested by the story by Edgar Allan Poe; directed by Albert S. Rogell for Universal Pictures.